Bring back the battery remaining indictor on your Mac. Is there a better alternative to Outlet? Is Outlet really the best app in System category? 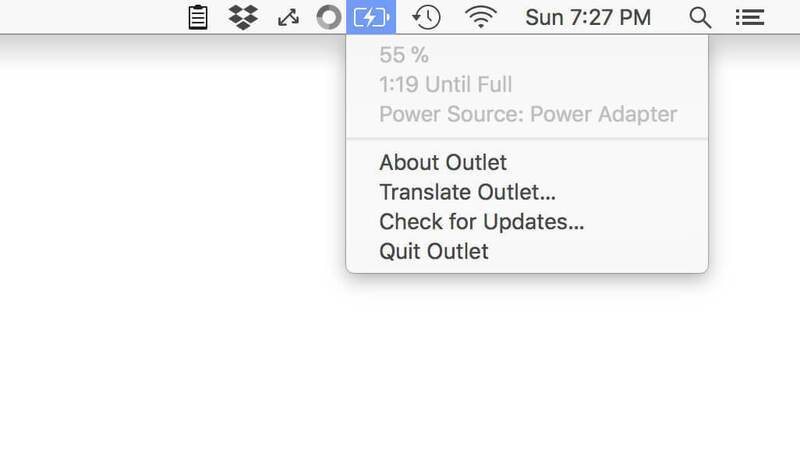 Will Outlet work good on macOS 10.13.4? 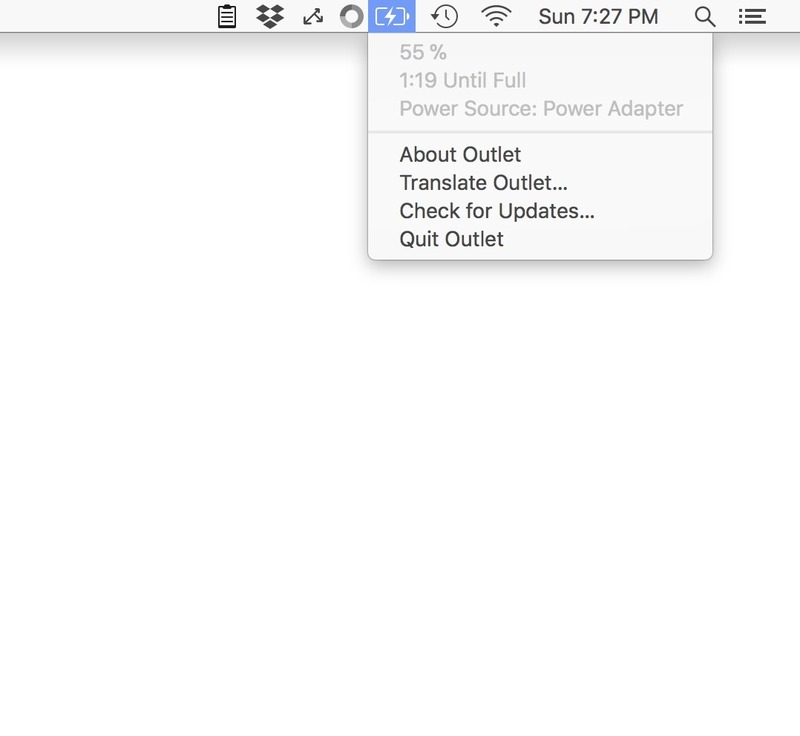 Outlet will provide you with "Remaining Battery Time" for your Mac. Open it and the moment you click on its Menu bar icon you’ll immediately see when it’s time to head to the next outlet. Outlet needs a rating. Be the first to rate this app and get the discussion started!